The Website and its entire contents, features, and functionality (including by not limited to all information, text, displays, images, icons, video, and audio, and the design, selection, and arrangement thereof), are owned by 5.11, its licensors, or other providers of such material and are protected by United States and international copyright, trademark, patent, trade secret, and other intellectual property or proprietary rights laws. These Terms permit personal, non-commercial, use of the Website only. You are not authorized to reproduce, distribute, modify, create derivative works of, publicly display, publicly perform, republish, download, store, or transmit any material on our Website, unless otherwise permitted to do so by law or by written consent from 5.11. Nothing in the Terms transfers to you any right, title or interest in any content on the Website, including any intellectual property or content of third parties included on the Website. You must not access or use any part of the Website, or materials available through the Website, for commercial purposes. If you wish to use any material on the Website, please submit a request to the Legal Department by emailing Legal@511Tactical.com. Consent and/or permission can be granted or withheld at the sole discretion of 5.11. Failure to respond to any request, does not constitute consent or permission. Traverse® is a trademark of L.L. Bean, Inc. used under license by 5.11, Inc.
Teflon™ is a trademark of The Chemours Company FC, LLC used under license by 5.11 Tactical. OrthoLite® is a registered trademark of O2 Partners, LLC., used under license by 5.11, Inc.
REALTREE® and REALTREE X-TRA® are registered trademarks of Jordan Outdoor Enterprises, Ltd., used under license by 5.11, Inc.
Cordura® is a registered trademark of Invista North America, S.à r.l., a société à responsibilité limiteé, used under license by 5.11, Inc.
VTAC® and Viking Tactics® are registered trademarks of Viking Tactics, Inc., used under license by 5.11, Inc.
eVent® is a registered trademark of BHA Altair, LLC, used under license by 5.11, Inc.
Veil® and Veil Camo® are registered trademarks of Veil Camo LLC and use under license by 5.11, Inc. The copyrights and other rights to the materials on our Website, or other 5.11 owned or operated platforms (i.e. blogs, social media accounts, etc. ), are owned by 5.11. Unless otherwise permitted by law, no further publication or commercial use may be made of these materials without the express written permission of 5.11. 5.11 does not provide the technologies used to build our Website and, therefore, we neither recommend nor endorse these technologies. Any information regarding identified technologies, including their capabilities, limitations, and applications, should be sought directly from their manufacturers. We hereby disclaim any rights to trademarks, service marks, trade names, logos, copyrights, patents, domain names, or other intellectual property interests of third parties. The downloading or export of software or technical data from this Website to any other jurisdiction may be a violation of the United States export laws and is strictly prohibited. Unfortunately, no data transmission over the Internet can be guaranteed as totally secure. While we strive to protect such information, we do not warrant and cannot ensure the security of any information which you transmit to us. Accordingly, any information which you transmit to us is transmitted at your own risk. Nevertheless, once we receive your transmission, we will take reasonable steps to preserve the security of such information. As a condition to your submission of any comments, reviews, photos, or other material, including social media posts associated with hangtags related to 5.11 (“User-Generated Content”), you agree to grant 5.11 an irrevocable, royalty-free, worldwide, and non-exclusive license to use, reproduce, distribute, publish, display, and create derivative works of the User-Generated Content, in any media now or hereafter known. 5.11 may display your User-Generated Content for other users to see, together with your name and associated social media account profile, if applicable. 5.11 may request to use or display the User-Generated Content you post on Facebook, Twitter, Instagram, or Pinterest by sending you a direct message. By responding to our message with “#YES511,” you grant us permission to use your User-Generated Content and agree to be bound by these Terms. 5.11 has the right to remove or refuse to post any User-Generated Content for any or no reason, in its sole discretion. 5.11 cannot review all material before it is posted on the Website, or ensure prompt removal of objectionable material after it has been posted. Accordingly, 5.11 is not responsible or liable for the content or information that others post or transmit to the Website, for any error, defamation, libel, slander, omission, falsehood, obscenity, profanity or other objectionable material contained in any such information, or for the conduct of any Website user. Products displayed on the Website can be delivered only within Australia and in accordance with United States export laws and regulations. By placing your order with us, you are representing to us that you will comply with all applicable laws and that you are of legal age and, furthermore, you agree to hold us harmless from your failure to comply with these requirements. Product pricing and availability are only valid in Australia. The display of product color will depend on your individual monitor and 5.11 cannot guarantee the accuracy of your monitor’s display. The sale, possession, transportation, and use of knives are subject to a wide variety of local, state, federal and international laws. As a result, it is your responsibility to familiarize yourself and comply with all laws that might be applicable to your purchase, possession, transportation, use or resale of our knives. To do so, we recommend that you contact your local law enforcement. We do not and will not sell knives to minors. Any links contained on the Website to outside websites are provided only as a convenience. All use of outside links is at your sole risk. If you have any concerns regarding any outside site linked to or from the Website, please direct them to the owner or operator of the outside site. 5.11 is not responsible for any outside sites, services, or other materials linked to or from the Website, and we disclaim all liability for any injury you might experience by using such materials. You may not create hyperlinks to this Website, nor may you use any "framing" or similar techniques to enclose any portion of this Website without 5.11’s prior written consent. TO THE EXTENT PERMITTED BY LAW, THE INFORMATION CONTAINED IN THIS WEBSITE IS PROVIDED TO YOU "AS IS," FOR YOUR INTERNAL INFORMATIONAL PURPOSES ONLY, WITHOUT ANY REPRESENTATION OR WARRANTY OF ACCURACY OR COMPLETENESS OF INFORMATION OR OTHER WARRANTY OF ANY KIND, INCLUDING ANY IMPLIED WARRANTY OF QUALITY, MERCHANTABILITY, FITNESS FOR A PARTICULAR PURPOSE, OR NON-INFRINGEMENT. TO THE EXTENT PERMITTED BY LAW, IN NO EVENT WILL 5.11 BE LIABLE TO ANY PARTY FOR ANY DIRECT, INDIRECT, INCIDENTAL, SPECIAL OR CONSEQUENTIAL DAMAGES FOR USE OF THIS WEBSITE OR RELIANCE UPON ANY INFORMATION OR MATERIAL ACCESSED VIA IT OR ANY OTHER HYPERLINKED WEBSITE INCLUDING, BUT NOT LIMITED TO, DAMAGES ARISING FROM LOSS OF PROFITS, BUSINESS INTERRUPTION, OR LOSS OF DATA, EVEN IF 5.11 IS EXPRESSLY ADVISED ABOUT THE POSSIBILITY OF SUCH DAMAGES, TO THE FULLEST EXTENT ALLOWABLE BY LAW. SOME JURISDICTIONS DO NOT ALLOW THE EXCLUSION OF IMPLIED WARRANTIES AND REPRESENTATIONS, SO THE ABOVE EXCLUSIONS MAY NOT APPLY TO YOU. Nothing in these Terms operates to exclude, restrict or modify any guarantee, warranty or other term or condition, implied or imposed by any legislation which cannot lawfully be limited or excluded by law, including any applicable consumer guarantees granted by the Competition and Consumer Act 2010 (Cth). 5.11 limits all liability arising in connection with a breach of a consumer guarantee to, at 5.11's option, replacing the goods or supplying equivalent goods; repairing the goods; paying the cost of replacing the goods or of acquiring equivalent goods; or paying the cost of having the goods repaired. You acknowledge and agree that the remedies in this clause are the sole remedies for a breach of such guarantees and that it is fair and reasonable for 5.11 to rely on this clause. Additionally, 5.11 makes no representations or warranties whatsoever about any other website which you may choose to access through this Website. Links provided by 5.11 to such websites are provided solely for your convenience and should not be deemed to imply that 5.11 endorses those websites or any content therein. Without limiting the above, due to the inherent risks of using the internet, 5.11 cannot be liable for any damage to, or viruses that may infect, your computer equipment or any other property when you are using or browsing the Website. The downloading of any information through the Website is done at your own discretion and risk and with your agreement that you will be solely responsible for any damage to your computer system or loss of data that results from the downloading such information. You agree to defend, indemnify and hold 5.11 (along with its directors, officers, employees, and agents) harmless from and against any claims, damages, costs, and expenses, including attorneys' fees, arising from or related to your use of the Website (including User-Generated Content) or your violation of any of these Terms. This Website is controlled and operated by 5.11, from our offices in Irvine, California. Unless otherwise specified, 5.11 displays this Website and its contents solely to market and promote products and services in Australia and make no claims as to its accessibility outside of Australia. Access to the Website may not be legal by certain persons or in certain countries. Should you choose to access the Website from outside of the United States, you do so at your own risk and are responsible for compliance with local laws. These Terms shall be construed according to Australian law, without regard to conflicts of laws. Any dispute arising under or relating to these Terms, the contents of the Website, the use of the Website, or products or services purchased using this Website, shall be resolved exclusively by the state and federal courts of New South Wales. Your use of the Website constitutes your consent to the jurisdiction and venue of said courts with respect to any such dispute. We accept no liability for any failure to comply with these Terms where such failure is due to circumstance beyond our reasonable control. If we waive any rights available to us under these Terms on one occasion, this does not means that those rights will automatically be waived on any other occasion. Your failure to comply with these Terms automatically revokes your authorization to use the Website and terminates any and all rights granted to you under the Terms. The restrictions, including restrictions with respect to its content, disclaimers, and liability limitations in these Terms shall continue to apply. Upon denial of access, you must promptly destroy all content downloaded or obtained from this Website, as well as all copies of content. 5.11 Tactical reserves the right to cancel or make adjustments to any order placed online in order to comply with the promotion being offered. We will not charge any customer’s credit card an amount that is greater than the total checkout price. However, orders may be put on hold in order for a customer service representative to contact a customer for additional information necessary to complete an order. 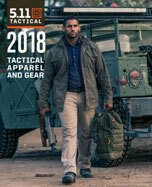 Offers may change at any time and are good only while supplies last, valid in Australia only on the 511tactical.com.au website. Promotions cannot be applied to previous orders placed. These Terms are effective as of May 25, 2018. We reserve the right to modify these Terms at any time and in our sole discretion, by posting the revised Terms on this page. YOUR CONTINUED USE OF OUR WEBSITE FOLLOWING OUR POSTING OF A CHANGE NOTICE WILL CONSTITUTE BINDING ACCEPTANCE OF THOSE CHANGES. We may collect personal data from customers both online and offline. Online, we may collect information through the Website, an affiliated site (such as a promotional microsite linked to our site), a 5.11 Tactical page on a community website (such as Facebook or the like), or through similar online avenues. On some pages, you may order products, make requests, submit product reviews, and register to receive materials or information. Offline, we may collect information through our sales associates at retail locations (such as email addresses for the purposes of sending electronic receipts). Our Policy applies to all information collected by or submitted to the Website, 5.11, or its employees as described herein. The types of personal information collected include, without limitation, your name, address, email address, phone number, and credit/debit card information. On some pages, you may submit information about other people. For example, if you order a gift online and want it sent directly to the recipient, you will need to submit the recipient’s address. In this circumstance, the types of personal information collected relating to the recipient include their name, shipping address, and phone number. If you provide personal information to us about someone else, you must ensure that you are entitled to disclose that information to us and that, without us taking any further steps required by privacy laws, we may collect, use and disclose such information for the purposes described in this Policy. For example, you should take reasonable steps to ensure the individual concerned is aware of the various matters detailed in this Policy. The individual must also provide the consents set out in this Policy in respect of how we will deal with their personal information. If you do not provide this information to us, we may not be able to complete your order. We may combine information you give us with other information from 5.11 sources or transactions, including without limitation 5.11 Stores, direct mail, catalogs, events, and automatic data collection sources. We may also combine that information with data that is publicly available and/or data from third parties. Our Website uses “cookie” technology to improve the quality of your experience. A cookie is a small file that contains information sent by a website that is saved on your hard disk by your computer’s browser. Cookies store information that a website may need in order to personalize your experience and gather website statistical data. Any time you visit our Website to browse or to read or download information, we collect and store the name of the domain and host from which you access the Internet (for example, msn.com, google.com, etc. ); the Internet protocol address of the computer you are using; the browser software you use and your operating system; the date and time you access our Website; and the Internet address of the website from which you linked directly to our Website. We use this information to measure the number of visitors to areas of our Website, and to help us make our Website more useful and interesting to our visitors. We use information from cookies in the aggregate to analyze for trends and statistics, and then discard it. Flash Cookies Certain features of our Website may use local stored objects (or Flash cookies) to collect and store information about your preferences and navigation to, from, and on our Website. Flash cookies are not managed by the same browser settings as are used for browser cookies. Web Beacons Pages of our Website and our e-mails may contain small electronic files known as web beacons (also referred to as clear gifs, pixel tags, and single-pixel gifs) that enable us, for example, to count users who have visited those pages or opened an email and for other related website statistics (for example, recording the popularity of certain website content and verifying system and server integrity). We may also use technologies to collect information about your online activities over time and across third party websites or other online services (e.g. behavioral tracking). Because there are not yet common, industry-accepted “do-not-track” standards and systems, our Website does not respond to “do-not-track” signals. We use the information you provide (about you or someone else) when placing an order to ship the product and to confirm delivery, to improve your shopping experience, help target or suggest products for you, and/or to help analyze and improve our Website’s overall performance. If you contact us, we retain copies of your email correspondence and use return e-mail addresses to answer the e-mail received. Such addresses are not used for any other purpose and are not shared with outside parties. We will occasionally send out promotional e-mails to our previous purchasers relating to sweepstakes and catalog and e-mail signups. To receive emails and/or further correspondence from us, you must opt-in by providing an email address during checkout at any 5.11-owned retail store or by signing up within your Registered Customer Account. By providing us with your personal information, you consent to us using your information to contact you on an ongoing basis for this purpose, including by mail, email, SMS and telephone. We provide full instructions on how to unsubscribe from these distribution lists at the bottom of each e-mail that is circulated. We may share your personal information with our subsidiaries, partners, and third-party independent contractors for purposes of: (1) performing functions on behalf of us, such as processing credit card transactions; (2) providing you with product offers through electronic and/or postal mail; and (3) tracking information generated through our Website. Our partners and third-party independent contractors are obligated contractually not to use or share your personal information for unauthorized purposes. We may share product reviews that you submit with our dealers for informational and promotional purposes. If our information practices change at some time in the future we will post the policy changes to our Website. If you are concerned about how your information is used, you should check back at our Website periodically. Finally, we never use or share the personally-identifiable information provided to us online in ways unrelated to the ones described above without also providing you an opportunity to opt-out or otherwise prohibit such unrelated uses. YYou may access and edit any personally-identifiable information maintained within your account at any time. To do so, simply login using your email address and secured password and navigate through the information tabs on the left-hand side of your Account Dashboard. We rely on you to assist us in updating your information if the information we hold about you is inaccurate or incomplete. We use this procedure to seek to better safeguard your information. You may also subscribe to receive our free newsletter, e-mail promotions, and other updates by checking the box at the time of checkout or account registration. If you wish to unsubscribe from our e-mail list, you will need to do so by clicking on the unsubscribe link at the bottom of our marketing e-mails, or by updating your “Newsletter Subscription” status within your account. To prevent unauthorized access, maintain data accuracy, and ensure the correct use of information, we have put in place and maintain appropriate physical, electronic, and managerial procedures to seek to safeguard and secure the information we collect. We contract with a third party to maintain and host our Website. Therefore, any information you submit, including personal information, will be placed and stored on a computer server maintained by this third-party host. The third party has agreed to implement technology and security features and strict policy guidelines to safeguard the privacy of your personal information from unauthorized access or improper use. The data we collect or process from the Website will be stored in the United States of America. As such, we may transfer personal information outside Australia whose privacy laws do not provide the same level of protection as Australia’s privacy laws, including the United States. By providing us with your personal information, you consent to us disclosing your information to entities located outside Australia on the basis that we are not required to take reasonable steps to ensure that any overseas recipient complies with Australian privacy laws in relation to your information. You agree that we will not remain accountable for the information once it is disclosed overseas, and you will not be able to seek redress against us under the Australian privacy law in the event of any breach. If you are located in the European Economic Area, Switzerland, or United Kingdom, please refer to the Region-Specific Website Terms. Any questions or concerns regarding our use or disclosure of Personal Data should be addressed to privacy@511Tactical.com. We will investigate and attempt to resolve any complaints and disputes regarding the use and disclosure of Personal Data in accordance with the provisions of these Terms. Should you have other questions or concerns about this Policy, please call us at (02) 9790 2225 or send us an email inquiry using the “Contact Us” form. This Policy is effective as of May 25, 2018. We reserve the right to modify the terms of this Policy at any time and in our sole discretion, by posting the revised Policy on this page. We recommend that you check this page for updates when you visit our Website to ensure you are aware of and understand our current Policy. If we make a material change to this Policy regarding how we use or collect your personal data, we may post a notice to this page or send an email describing the changes. YOUR CONTINUED USE OF OUR WEBSITE FOLLOWING OUR POSTING OF A CHANGE NOTICE WILL CONSTITUTE BINDING ACCEPTANCE OF THOSE CHANGES.